I photograph a lot of houses in and around Columbia. While visiting these places, I get a lot of ideas for renovating my home, and I see some things that make me scratch my head. 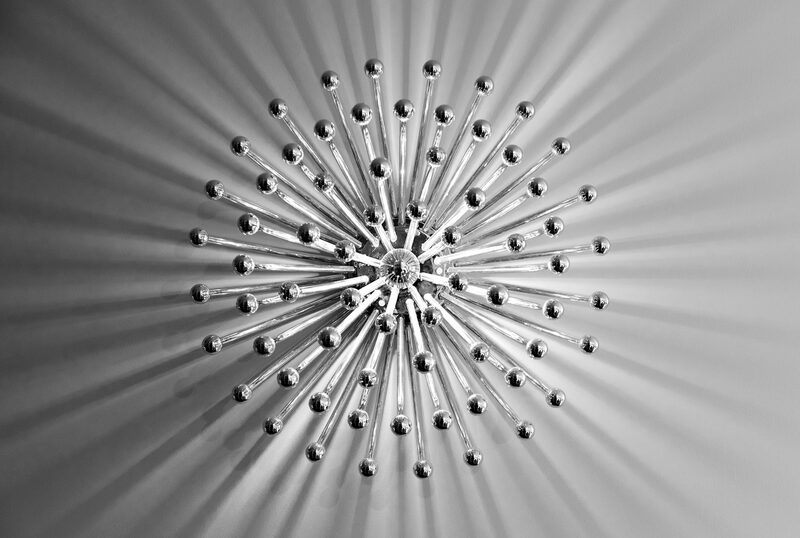 When I saw this light fixture, I scratched my head. Then, someone turned on the light and I understood. Seeing the way light was thrown around the area gave the room a completely different feel. Light and shadow can change your perspective on a scene without you realizing why it has happened. Usually, I am a fan of indirect light, but I think this fixture has given me a new appreciation for direct light. I may have to revisit this intriguing concept.